came from a plant with a beautiful flower. 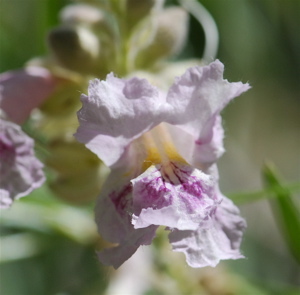 This lovely flower is from a desert willow tree, Chilopsis linearis. Although the leaves are long and narrow like a willow, the tree is actually a close relative of the catalpa. 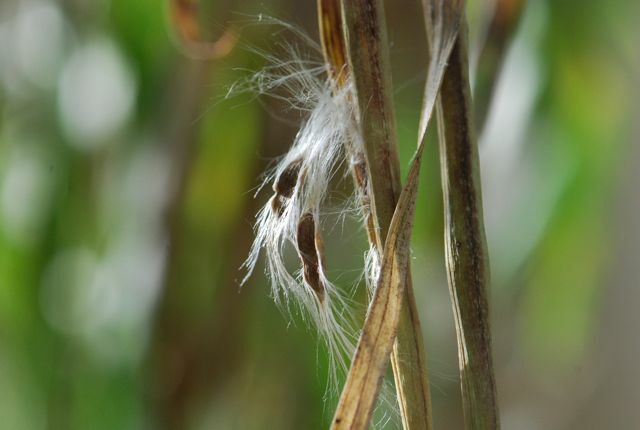 We covered the catalpa in an earlier seed of the week post. If you check that post, you can see how similar the flowers are. 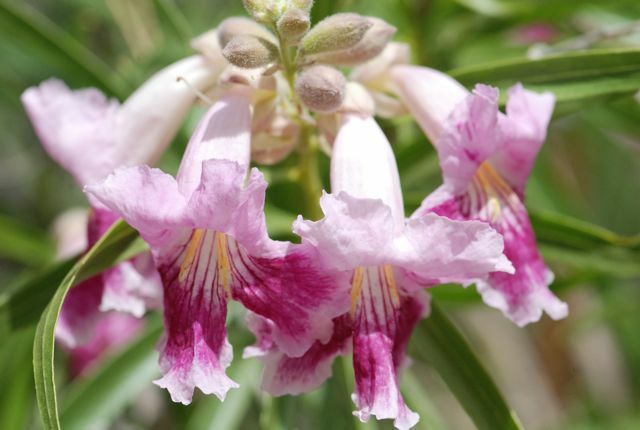 Our desert willow is a favorite with birds and bees when it is flowering. Even the giant, lumbering green June beetles visit the flowers for nectar and pollen. Here in Arizona you commonly see desert willows growing along washes. It is a native plant, but is also used extensively in landscapes. Desert willows will bloom throughout the spring and summer, although they will quit flowering during dry spells.